Flamingos or flamingoes are a type of wading bird in the genus Phoenicopterus, the only genus in the Phoenicopteridae family. 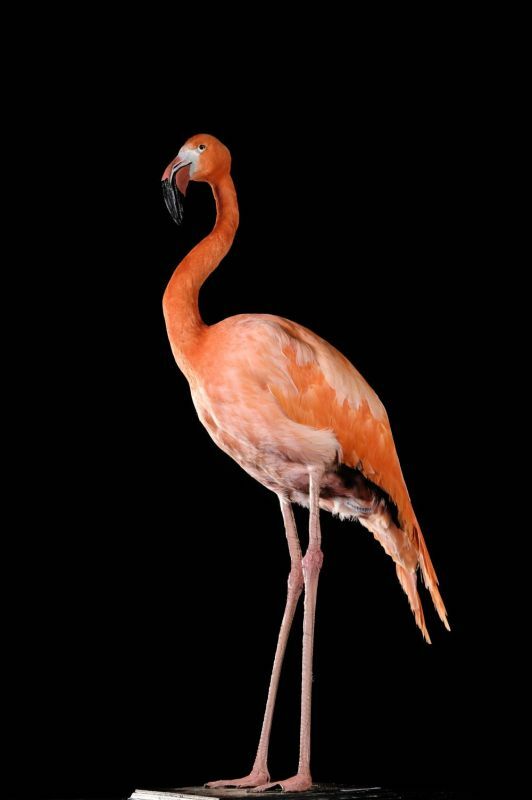 The American flamingo is also known as the Caribbean flamingo. 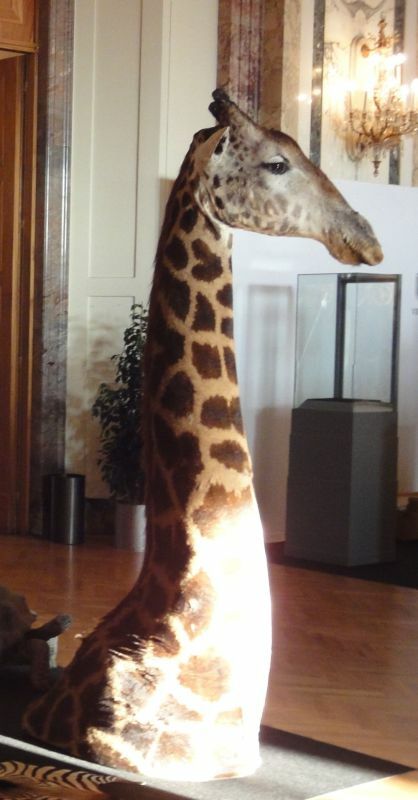 It measures up to 1.50m in height and weighing 3 to 4 kg. The male is often larger than the female.The bird is red but the intensity of the color depends on the flamingo’s diet. Indeed, their color depends on what he eats. The pink / red color comes from the shrimp, which is the basis of flamingo feeding, whatever the species.There are only the tip of its beak and underside of its wings which are black. Even his long legs are pink. It has a long S-shaped neck and a curved beak that allows it to filter the water and the mud to catch shrimp. It also feeds on algae. It also contributes to give the pink color to the flamingo. The pigments the algae contain play this role, it is the carotenoids. Red flamingos make their nests near wetlands, land on small islands surrounded by water. The nest is built directly on the ground, but in height, like a tower. It is made of mud and plants and can reach 50 cm high. The female lays a single egg, white matte. Incubation lasts a month. Both parents take care of the young and nourish each turn by regurgitating the food they have digested first. Nestling has a pink beak and is completely white. Its down will turn into gray feathers after a few days.Their population is not very important, they are found in the Caribbean, the Bahamas, the Caribbean … So we can observe in Central America and sometimes in the southern US or northern South America. 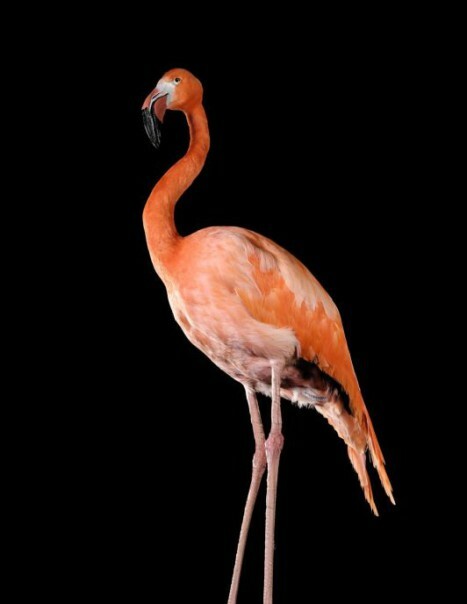 The flamingo is also visible in the south of France and South Africa.It likes moist and open areas. They live in large colonies.The species is not threatened. It therefore has approximately 100,000 individuals, 4 large settlements located in Central America. These colonies are protected.